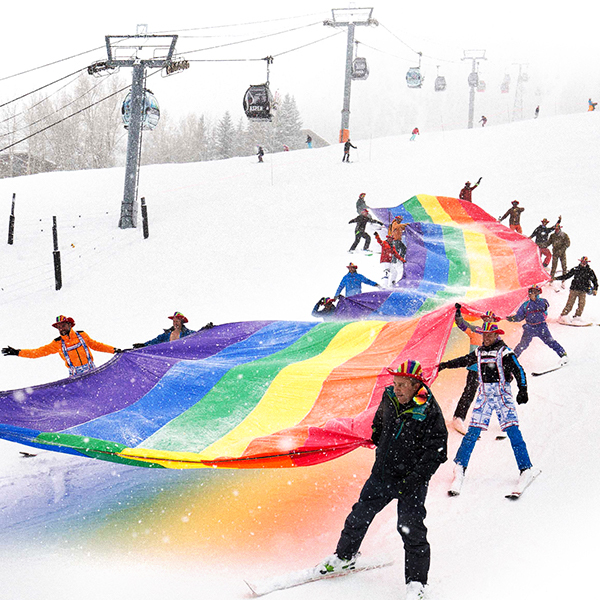 Aspen Snowmass has always been a values-driven company, but that story has always taken a back seat to their world-class ski offering. 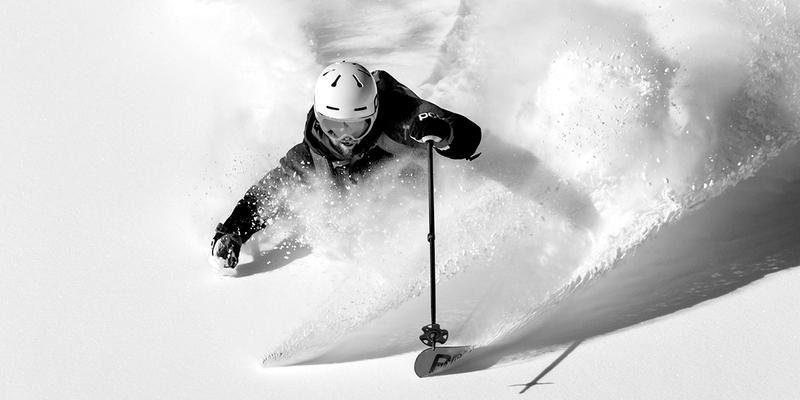 As climate change becomes a more pressing threat to the ski industry itself, those two messages now intersect. 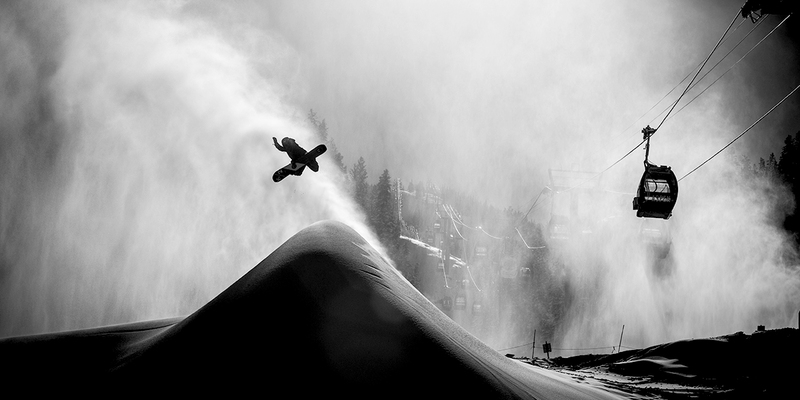 So we set out to compel snowsports enthusiasts to protect their passion by joining the fight against climate change. 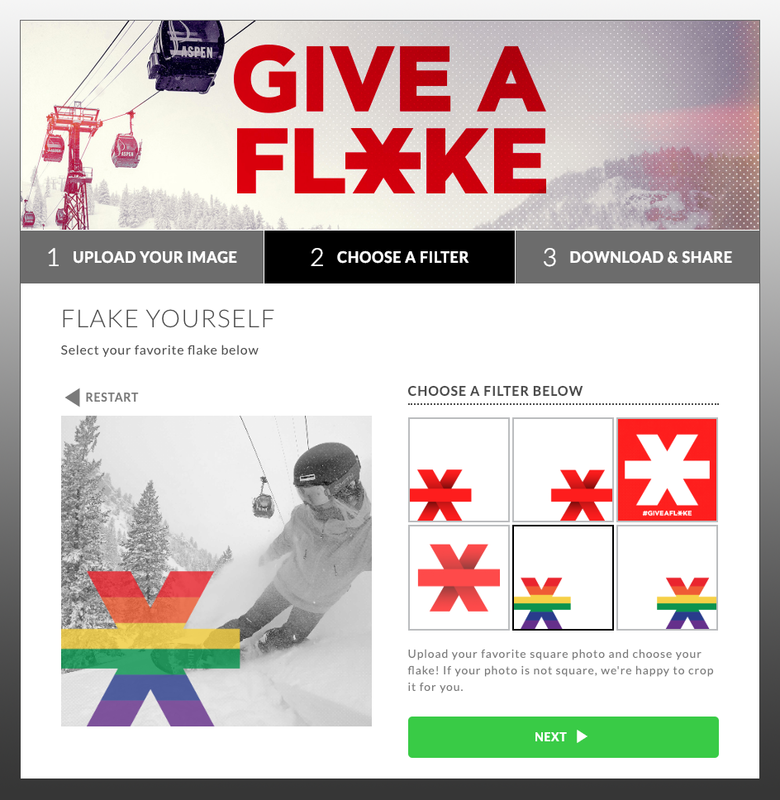 To create a movement around our rallying cry – Give A Flake – we needed to inspire action. 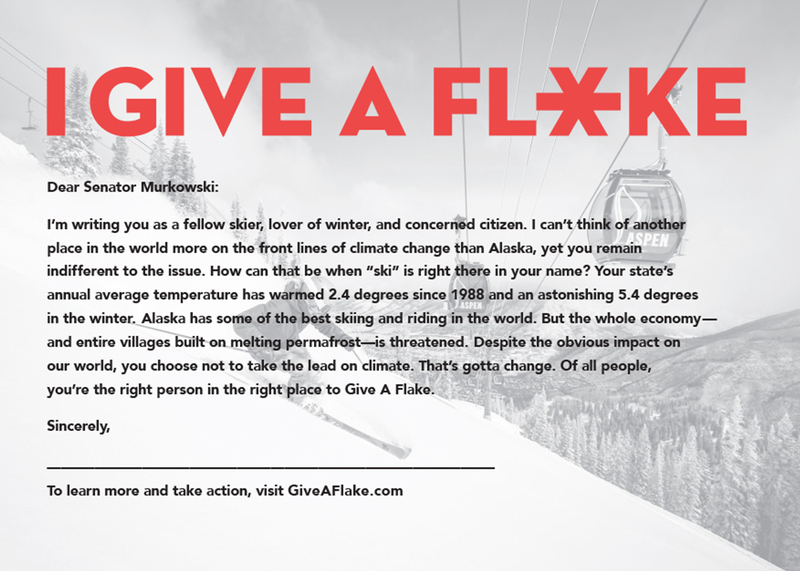 Not by simply telling people to Give A Flake, but by empowering them with the education, the tools, and the platform to advocate for change. 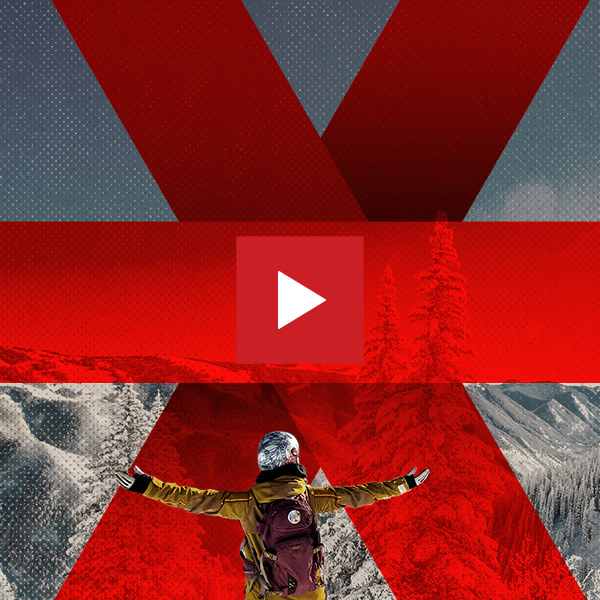 We needed to create a spark in order to set a fire, and that spark was audience engagement. 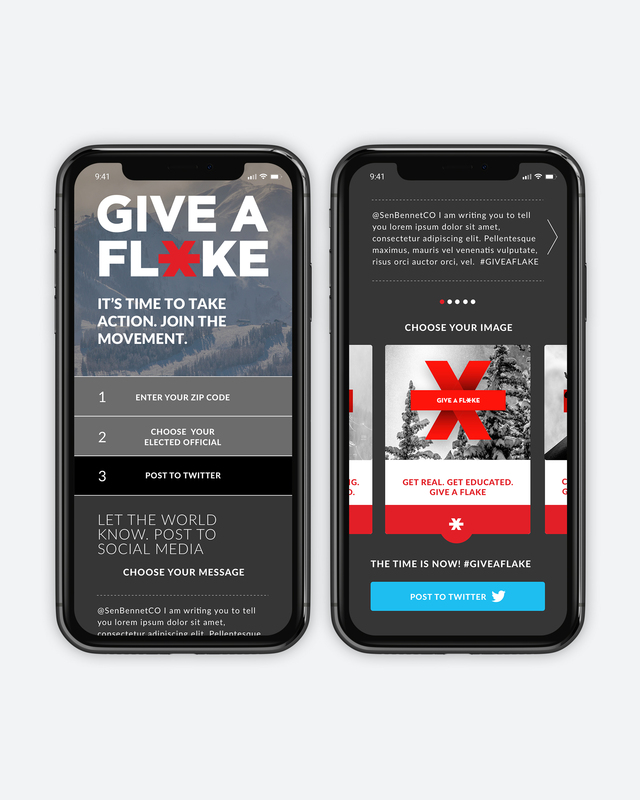 To kick off the movement, we created inspiring videos that raised awareness about the issue at hand and called on people to stand up, speak out, and Give A Flake. 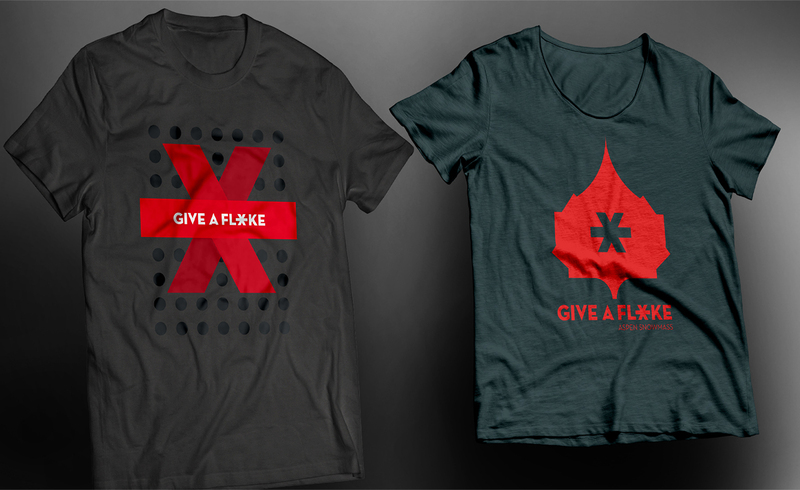 We then made each component of our campaign actionable. 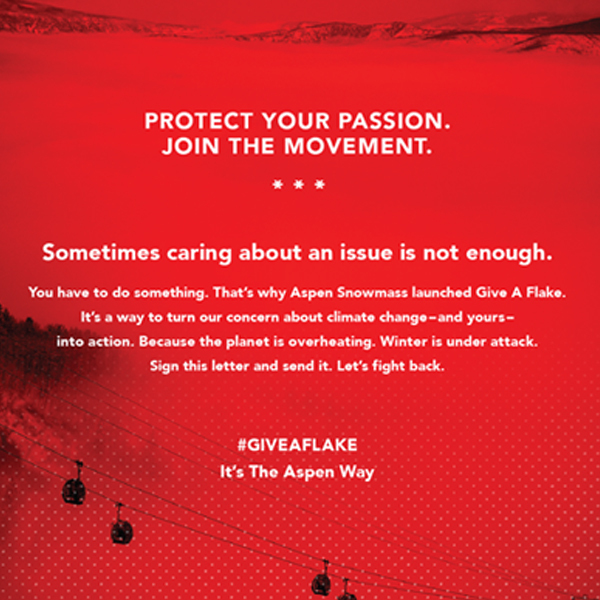 Our print ads in national magazines featured tear-out, prepaid postcards for readers to sign and mail to three carefully-selected on-the-fence Senators (Senator Collins from Maine, Senator Portman from Ohio, and Senator Murkowski from Alaska), urging them to change their voting patterns on climate change. 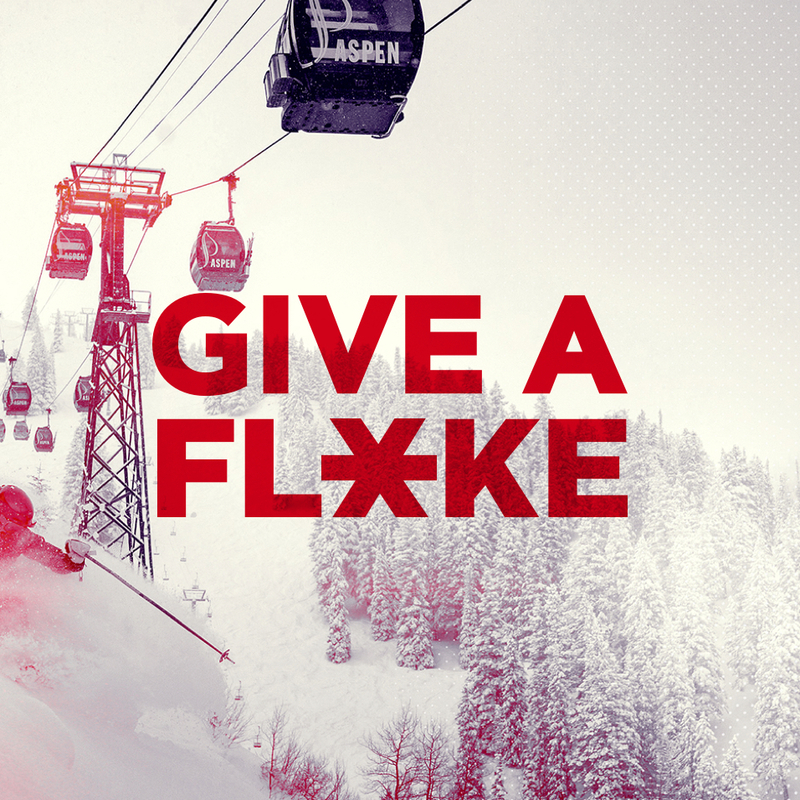 Via print, social, and preroll, we directed our audiences to GiveAFlake.com– the avenue that truly set the Internet on fire. 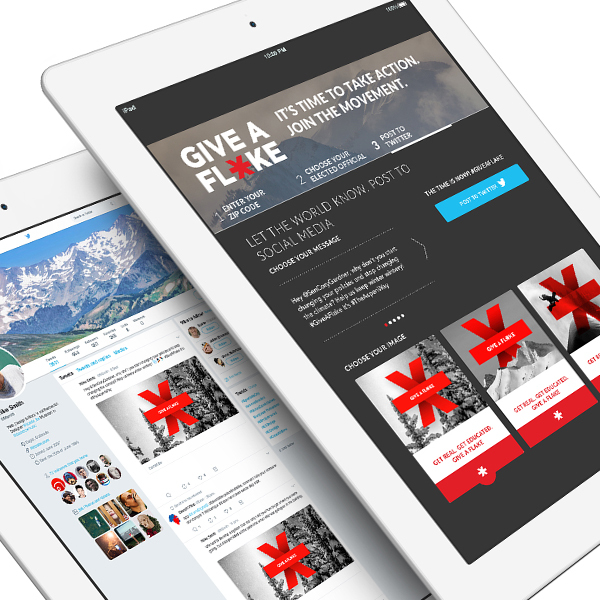 We crafted a selection of viral-worthy, pre-populated Tweets for website visitors to choose from, allowing them to identify their individual congresspeople and tweet directly at them – either celebrating climate change champions, or calling out climate change deniers. 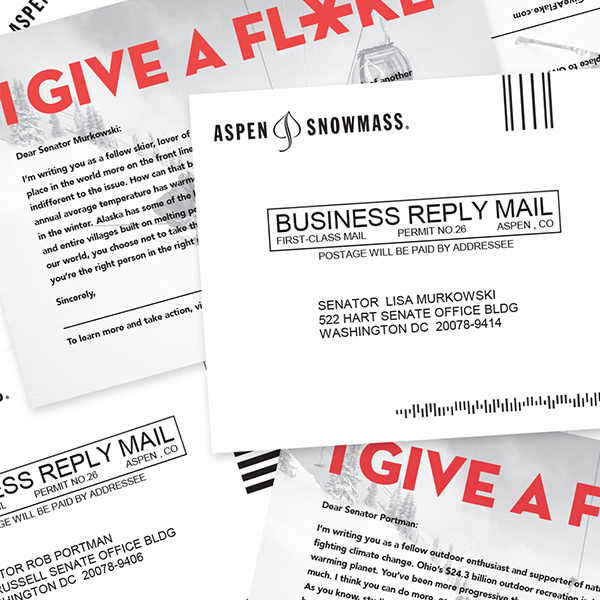 Via the site, we also provided a way to call congresspeople, write to them via pre-populated, printable letters, to donate to Protect Our Winters, and even to register to vote. 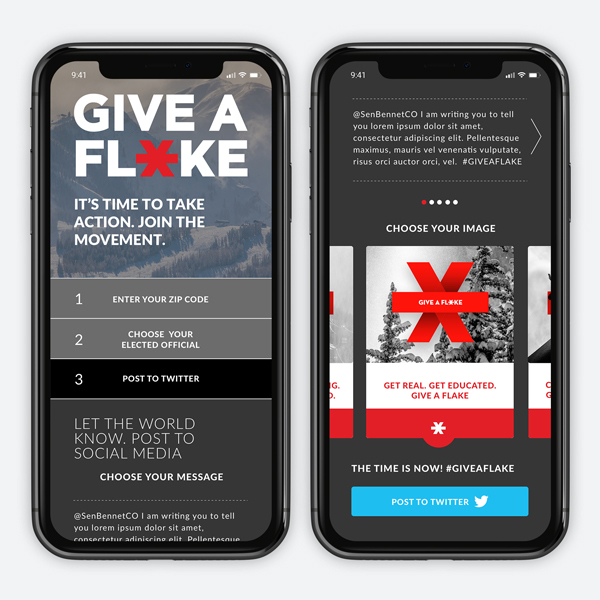 By inviting our audiences into the movement and giving them the tools to take action, we made it hard to sit out the fight against climate change. 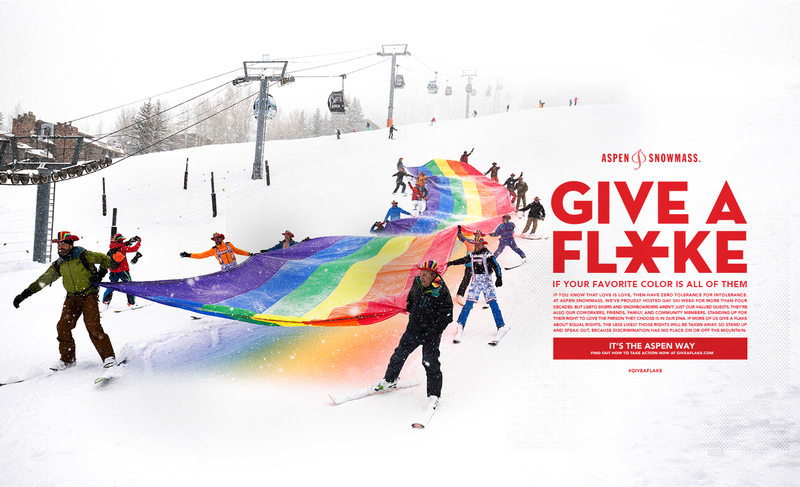 Our campaign made waves throughout the outdoor travel industry and the nation. 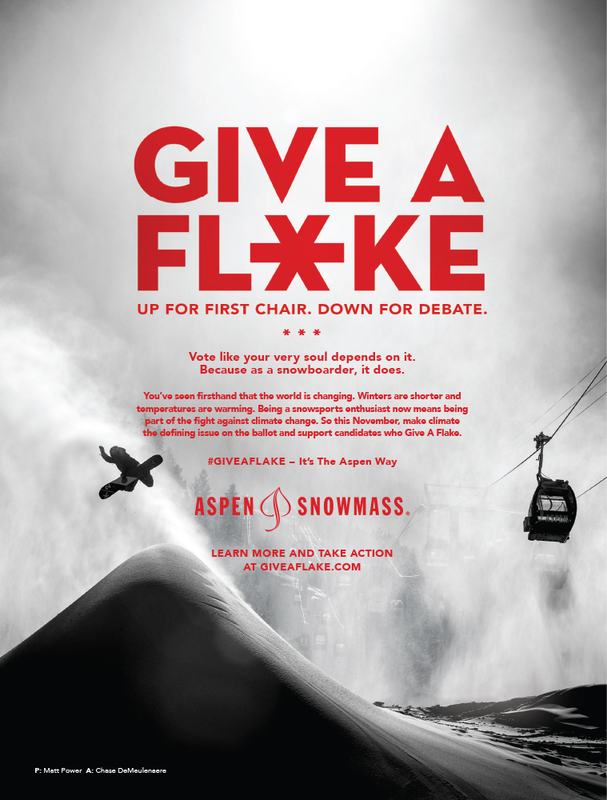 In the first two weeks, Give A Flake had been covered by over two dozen media outlets including The Denver Business Journal, Aspen Times, CBS Denver, Powder Magazine, Gripped Outdoors and aired nationally on NBC Radio. 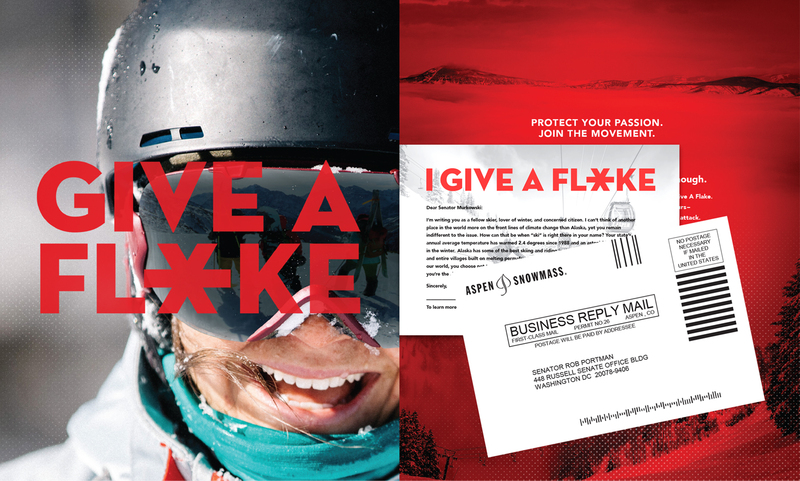 And following the release of Outside Magazine’s November issue featuring our postcards addressed to Alaskan senator Lisa Murkowski, she wrote an open letter to the editor responding to all of the postcards she received (more than 3000), to which Outside Magazine responded in a national article. 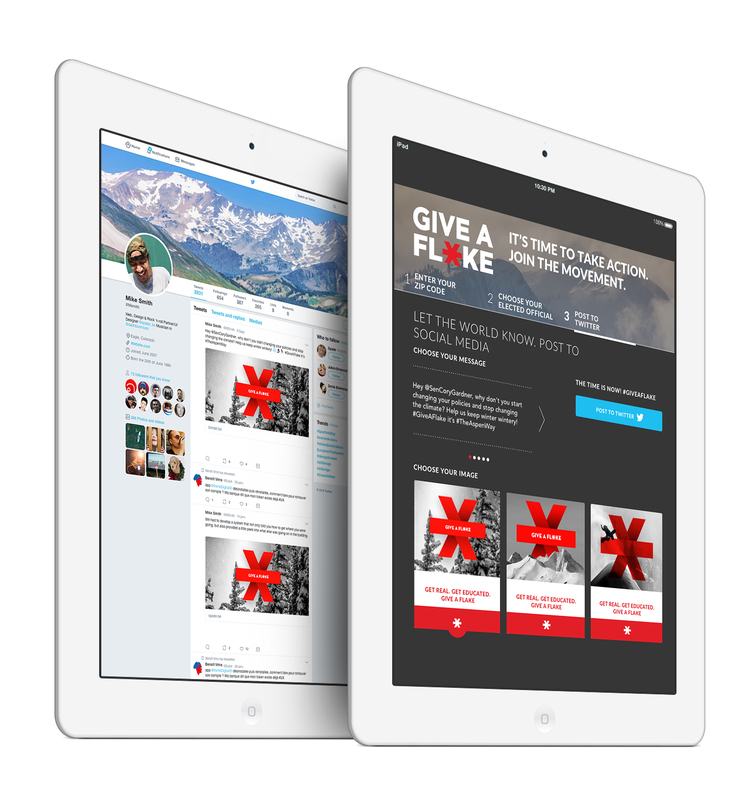 To date, the social engagement has garnered over one million impressions, the website has generated thousands of page views and site engagement has exceeded goals, resulting in 2,500 people contacting elected officials via Twitter and 50 phone calls to Congress. The momentum will continue as we evolve the campaign into 2019 and beyond. 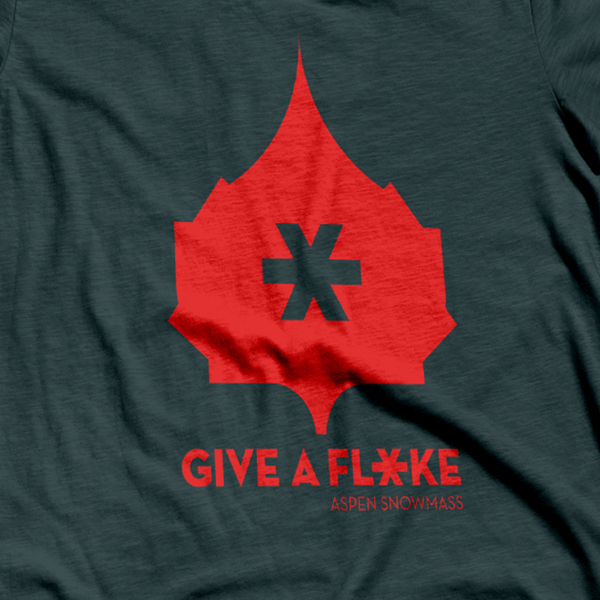 Our work is far from over, because after all, if no one Gives A Flake, we all lose.